Scientists at the University of Oregon (UO) have identified a novel protein secreted by a common gut bacterium in zebrafish that reduces inflammation in the gut and delays death by septic shock. 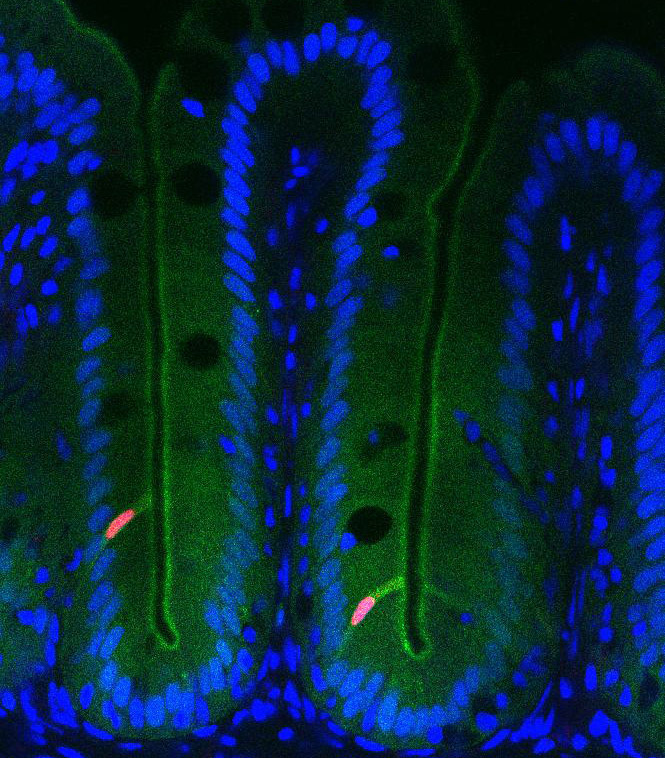 By examining how the protein, Aeromonas immune modulator (AimA), mutually benefits both the bacteria and their larval zebrafish hosts, the research team says its experiments shed light on how animals and their resident microbes negotiate a moderated level of inflammatory response. A paper on the study (“A bacterial immunomodulatory protein with lipocalin-like domains facilitates host-bacteria mutualism in larval zebrafish”) appears in eLife. “Stable mutualism between a host and its resident bacteria requires a moderated immune response to control bacterial population size without eliciting excessive inflammation that could harm both partners. Little is known about the specific molecular mechanisms utilized by bacterial mutualists to temper their hosts’ responses and protect themselves from aggressive immune attack. Using a gnotobiotic larval zebrafish model, we identified an Aeromonas-secreted immunomodulatory protein, AimA,” wrote the investigators. “One of the major questions about how we coexist with our microbial inhabitants is why we don’t have a massive inflammatory response to the trillions of the bacteria inhabiting our guts,” said study co-author Karen Guillemin, Ph.D., a professor of biology and member of the Institute of Molecular Biology. The paper, led by Annah Rolig, Ph.D., a former UO postdoctoral fellow and now a research scientist at the Cancer Immunobiology Laboratory at Providence Portland Medical Center, details how the protein was discovered in the common zebrafish gut bacterium Aeromonas and how the researchers narrowed in on a better understanding of its structure and function. When they first discovered the AimA protein, Dr. Guillemin and her team were baffled because the array of amino acids making up the protein chain looked like no other protein that had ever been described. Using protein crystallography, the team was able to determine the 3D structure of the protein. When viewed in 3D, AimA showed a striking similarity to a class of proteins called lipocalins, which include members that modulate inflammation in humans. To test this idea in zebrafish the researchers induced inflammation in several different ways. In all cases, they found that the AimA protein could reduce inflammation. 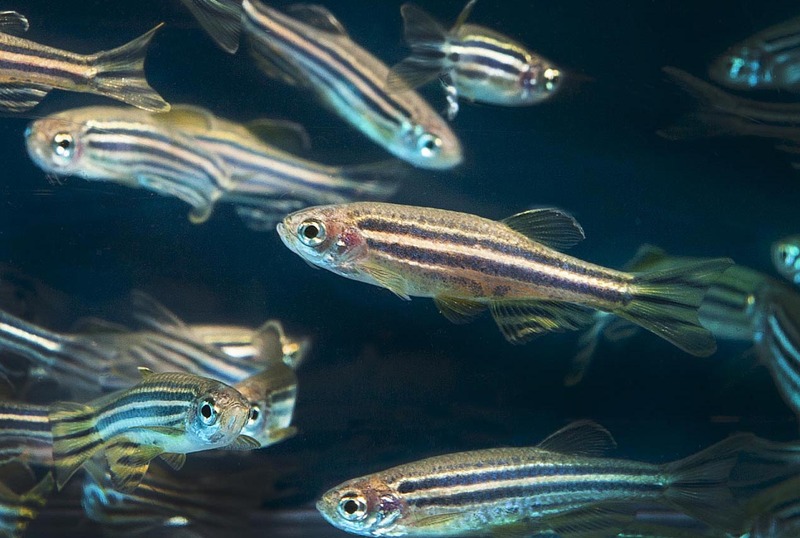 Even when they induced a lethal inflammatory response, septic shock, they found that the protein could counteract this and extended the lifespan of zebrafish. In probing the question as to why bacteria make this protein, researchers delivered an AimA-deficient version of the Aeromonas bacterium to zebrafish. They found that host animals fared worse than when they were colonized with normal Aeromonas and suffered more intestinal inflammation. The bacteria also did worse, Dr. Guillemin said. When AimA protein was delivered back to the fish, its presence benefitted both partners. The intestinal inflammation went away and Aeromonas returned to normal numbers. When the researchers did the same experiment in immunocompromised fish that couldn’t mount an inflammatory response, Aeromonas bacteria didn’t need the protein. This showed that the primary reason why the bacteria make AimA is to prevent inflammation. As a protein that benefits both bacterial and animal partners, AimA represents a new class of bacterial effector proteins, which Dr. Guillemin calls mutualism factors. Unlike virulence factors that promote the fitness of pathogens to the detriment of their hosts, a mutualism factor like AimA confers mutual benefits, and both host and bacterium suffer when it is removed from the host-microbe equation. AimA proteins, she said, act to promote both bacterial colonization and host survival. The findings have potential applications for a range of human diseases associated with excessive inflammation. It could someday be useful in treating intestinal inflammation, including inflammatory bowel diseases, or in preventing chronic inflammation associated with metabolic syndrome and sepsis. Additionally, noted Dr. Guillemin, the study suggests that other bacteria that live inside humans are a potentially rich source of novel anti-inflammatory molecules.